Have a question? Just call us toll-free at 1-866-266-3956. Pelvic health physiotherapy, also called pelvic floor physiotherapy, is a specialized form of therapy designed to treat the tissues, nerves, and muscles in the pelvic region. The pelvic region is the area between your belly button and your thighs. When you are unable to control the muscles in your pelvic floor it is called pelvic floor dysfunction. 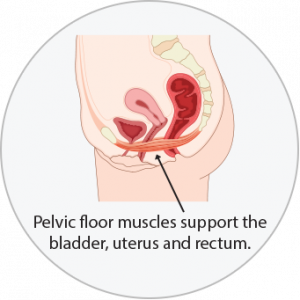 Pelvic floor dysfunction can also happen as a result of overactive or tight pelvic muscles or underactive or weak pelvic muscles. 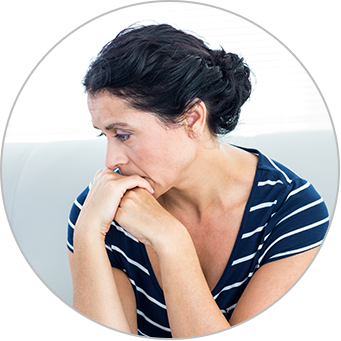 Pelvic floor dysfunction and disorders can include conditions like prolapse (when organs drop down), diastasis recti (when the abdominal muscle separate), incontinence (both of the bladder and the bowel), and constipation. Problems with the pelvic floor can be linked to many things including diseases and disorders of the pelvic floor and hormonal changes. Other contributing factors include aging, injury to the area, participation in high impact sports, strenuous exercise, pregnancy, and childbirth. What Can Pelvic Health Physiotherapy Treat? Your physiotherapist will sit down with you to take your medical history. They may ask questions about your current condition as well as your bathroom or sexual habits as they relate to your symptoms. After taking your history, your physiotherapist will begin a physical evaluation. This exam assesses your posture as well as the structures of your pelvic region that can cause dysfunction. Depending on your symptoms, your assessment may include an external as well as an internal vaginal or rectal exam. Following your assessment, your physiotherapist will discuss your condition and work with you to set goals and develop a treatment plan. Your physiotherapist will explain the plan and answer any questions you might have. pt Health therapy services are covered by most extended health insurance companies and in some cases Veterans Affairs and Medicare – such as OHIP (Ontario), Alberta Health Care and Medical Service Plan MSP (British Columbia). Not sure if you’re covered? No problem. We can help you find out (and usually within the hour). Just call us toll-free at 1-866-266-3956.